This review will be a review of this book in particular and this series in total. 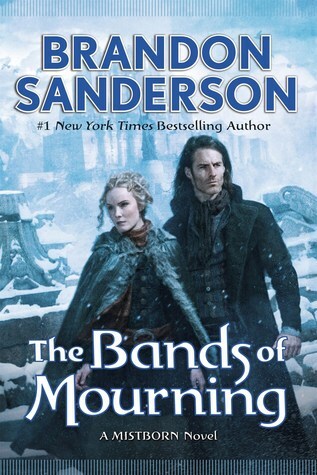 This trilogy is probably the best, compact work Brandon Sanderson has written as yet. The Wax and Wayne trilogy contains a fully fleshed out setting, stellar (if unrealistic) characters, and inventive plots, all while containing fun call-backs and cameos from the main characters of the original Mistborn trilogy. This series’ excellence is a mixture of high-quality content and nostalgia, a fun combo. Characters: The characters in this series are WAY better than those in the original trilogy. My personal favorite is Steris, Wax’s accountant-fiance. Her personality really bloomed over the course of the book, and became lovable in her own introverted way. Another example of good characterization, Waxilium had a very believable negative reaction to the death of his first wife, making him very reluctant to go through with his marriage with Steris. Watching him grow out of his pain over the course of the series was fun to watch. Finally, Wayne was just a riot. He’s not a very realistic character, but that doesn’t matter when he’s just so delightful to read. I wanted some character development from him, though. Plot: Sanderson has always been a ‘plot’ writer, in my experience. This series is no different, with Sanderson telling fun stories of cops-catching-criminals, or cops engaging in capers themselves. Pacing: The books were paced very effectively, if a smidge fast. In this book ‘the Bands of Morning,’ for example, I felt it was too fast. Too much stuff was going on all the time. The plot never had a lulling moment, but instead every scene which occurred was vital to the plot as a whole. This quick pace makes for a fast read, but not a very contemplative one. Setting: I LOVE the setting. This series takes place years after the end of the original trilogy. Technology has advanced until Scadrial has reached the Wild West, with electric lights and automobiles. This allows for the author to use multiple wellsprings of tropes to tell his stories, namely Western tropes as well as standard fantasy tropes. Also, as mentioned previously, the nostalgia of occasionally referencing old characters from the previous trilogy really worked well but it wasn’t overdone so that you had to read them to get this book. Highly recommended if you read the initial Mistborn trilogy, or even if you haven’t. This trilogy is better than the initial trilogy by a significant margin and you can totally read it first.